In the South of Pakistan, near the city of Hyderabad begins the range of Hills known as Ganjo Takar, meaning The Bald Hill. Shah Abdul Latif, the Sufi saint poet of Sindh had pointed to the secrets held in its folds and my attention has been drawn to an article referring to this subject. Professor Dr. G.A. Allana, the former vice chancellor of the University of Sindh, Jamshoro, who has written many books on Sindh’s history, culture and language, had also written an article using Latif’s line “Ganjay mein Gun Ghanna” (Bald has Many Folds) as the title. In his article, Dr. Allana reflects upon his various trips to Ganjo Takar. Most of these were undertaken during his student days from 1956 onwards. Taking clues from Latif’s poem, Dr. Allana has traced the sacred routes in these hills that had been traversed by the yogis since ancient times. He recalls the pre-Partition times when the yogis still arrived in a large group from Gujrat to perform rites at a spot dedicated to Kali. Located near Fateh Chowk in Hyderabad, Kali deovari actually marks the beginnings of the Ganjo Takar range. Dr. Allana laments on the loss of history as after Partition the road named after Kali has been ‘converted to Islam’ and renamed as the Hali Road. From Kali in Hyderabad the yogis would get divided in two groups, one of these would head towards the shrine of Lal Shahbaz Qalandar in Sehwan and the other to the Makli necropolis. The Makli group of yogis proceeded further West to Balochistan to the temple of Mata Hinglaj, the westernmost Tirtha (sacred place) of the Hindus. 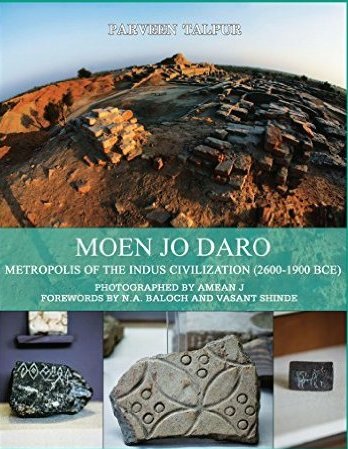 The article also reveals several shrines of Muslim saints and many remains of Buddhist period; most relevant here is Sudheran jo Thul. Dr. Allana mentions an annual fair at the Thul where Buddhist pilgrims got their heads shaven and performed rituals and where Buddha’s bones were preserved. This indicates the existence of a cinerary stupa at Sudheran and yet another potential spot to explore the much sought-after Buddha’s ashes. I thank Dr. Mithal Vakassi for sharing Dr. Allana’s article with me.